Art-On-Location with Dawn-Angela Seeley | Giving you the Gift of Art through instruction and travel. 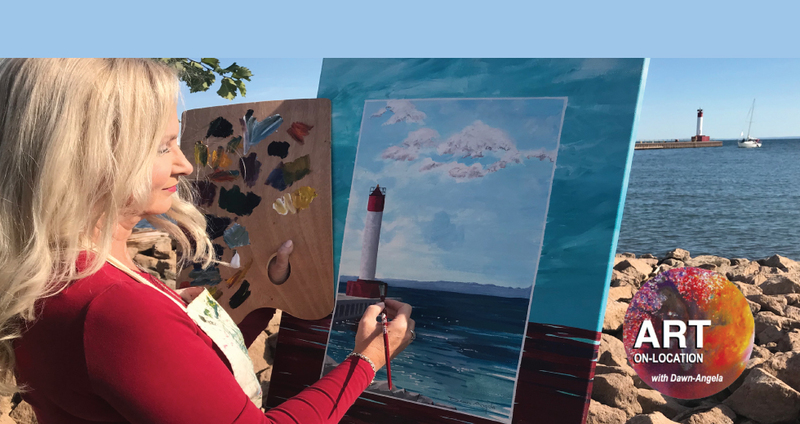 Whatever your age or experience, Dawn-Angela and her art instructors train the creative eye, developing your skills, facilitating the use of new mediums and refining techniques. Paint the world as we travel to exotic locations around the world. Whether you want to paint beautiful locations or just want to vacation in exotic locations an Art Getaway may be for you. This page has fine art available by Dawn-Angela Seeley that can be purchased as prints or originals. Please note that prices and availability may change without notice. Ever thought of Tuscany as a Summer Vacation for kids? Thought of Tuscany as a Summer Vacation for Kids? Cottage country, Tuscany, Cottage Country, Tuscany? Cottage Country? Tuscany! PLUS 3 days in Venice!